Nightly, Weekly and Monthly Rates Available! 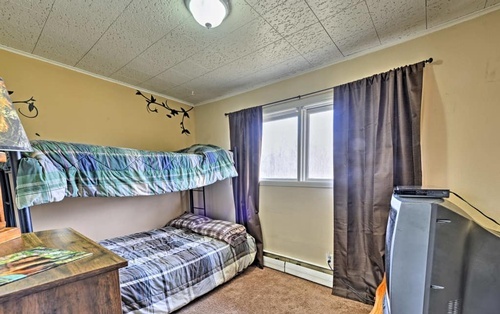 Don't hesitate to book this family-friendly 3-bedroom, 1-bathroom vacation rental townhouse on your next Alaskan adventure to the Kenai Peninsula! 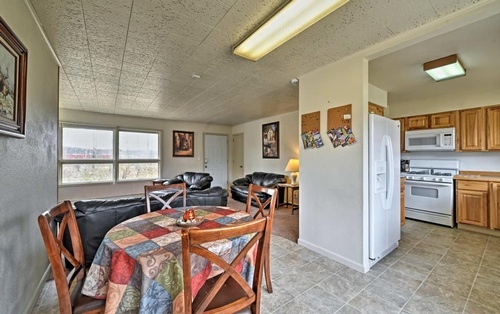 This conveniently located unit sleeps 8 and is perfect for families or large groups of eager fishermen. 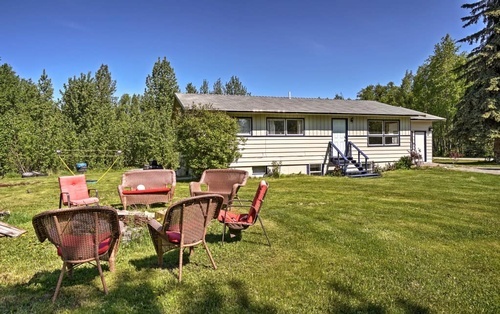 Easily walk to the shops, cafes, and river in central Soldotna. Day trips to Homer, Seward, and Cooper Landing will be a breeze - so gather your fishing gear and a curious spirit to discover The Last Frontier with loved ones! 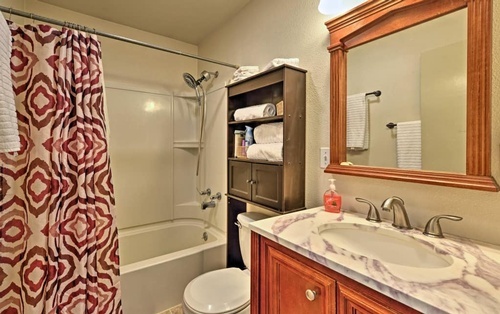 Central Soldotna welcomes you to this charming townhouse in the Kenai Peninsula. Since the river is just across the street, it will be easy to fish all afternoon before walking to a local cafe for a pick-me-up. 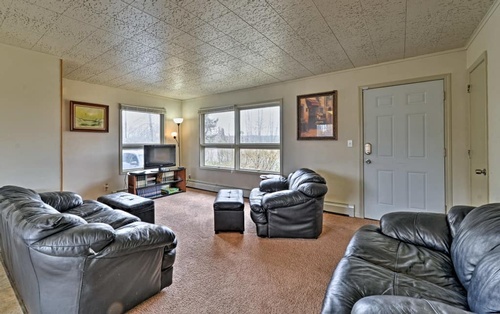 While relaxing at the townhome, you'll be able to claim one of the leather sofas in the living room. Endless streaming entertainment awaits using the flat-screen TV with Netflix. Cook up the catch of the day in the fully equipped kitchen. Don't forget to fire up the shared charcoal grill to slow-cook the perfect entree. Wind down the evening as you sway in the hammock in the large backyard. Others can get a fire started at the shared fire pit - the ideal place for roasting s'mores with family & friends! Another day in the Last Frontier calls for a restful night's sleep, so mozy into one of the 3 bedrooms and dream of catching that trophy salmon. A twin air mattress is also provided to accommodate 1 other traveler.